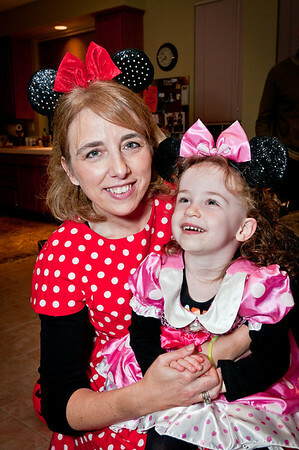 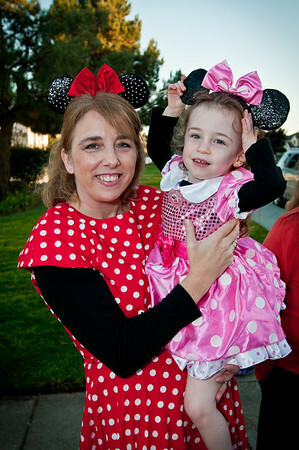 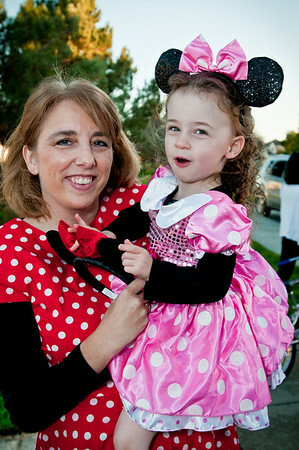 The Minny Mouse girls, Diane and Olivia! 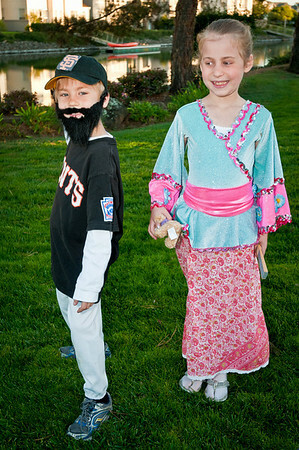 In honor of Jeremy dressing as a Giant, and the Japanese Princess Gabrielle demanding that the giants win, they did! 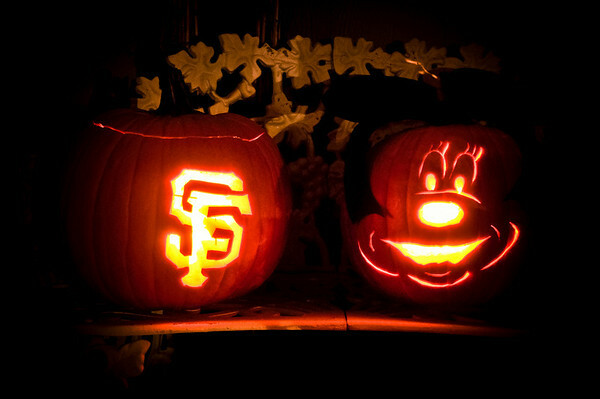 4-0 over the Rangers in Game 3 of the 2010 World Series. 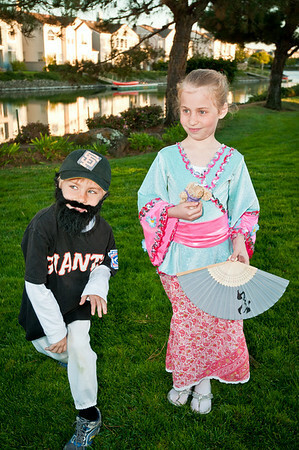 In honor of Jeremy dressing as a Giant, and the Japanese Princess Gabrielle demanding that the giants win, they did! 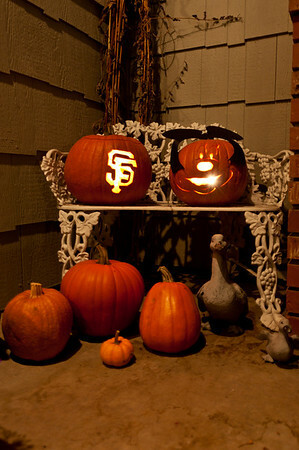 4-0 over the Rangers in Game 3 of the 2010 World Series. 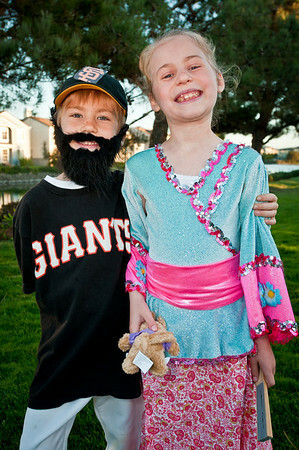 Brian Wilson (aka Jeremy) is ready to save the game in the 9th inning! 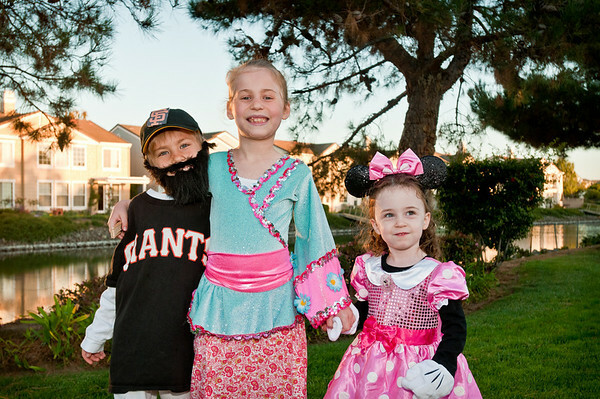 The cousins all costume'd up! 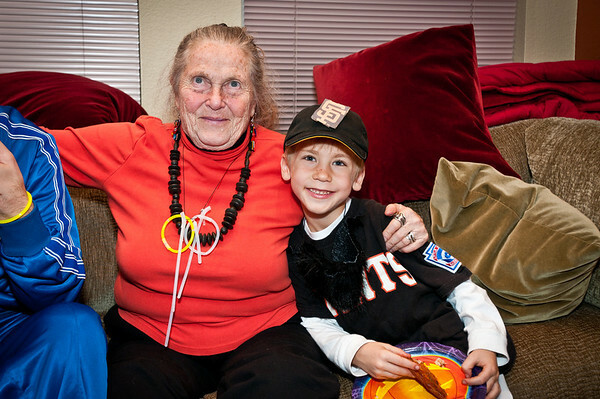 Jeremy and Gramma watching the Giants win! 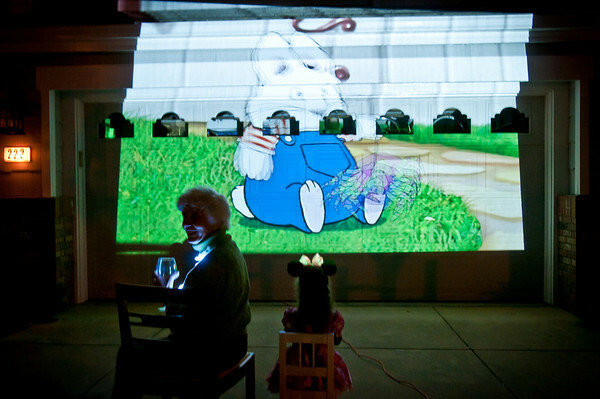 Uncle Andy setup a giant movie projector on the garage door and they picked Olivia's favorite movie. 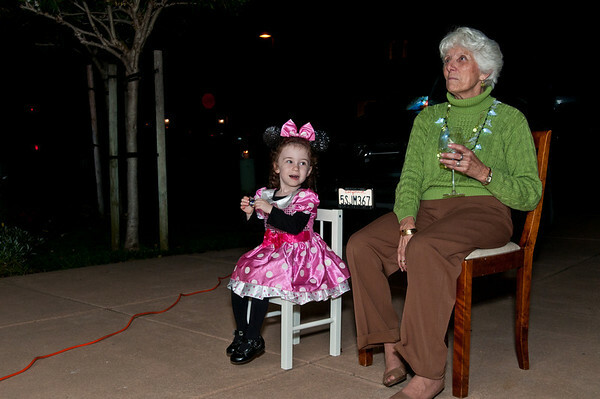 She sat outside and watched for a while with her other Gramma! 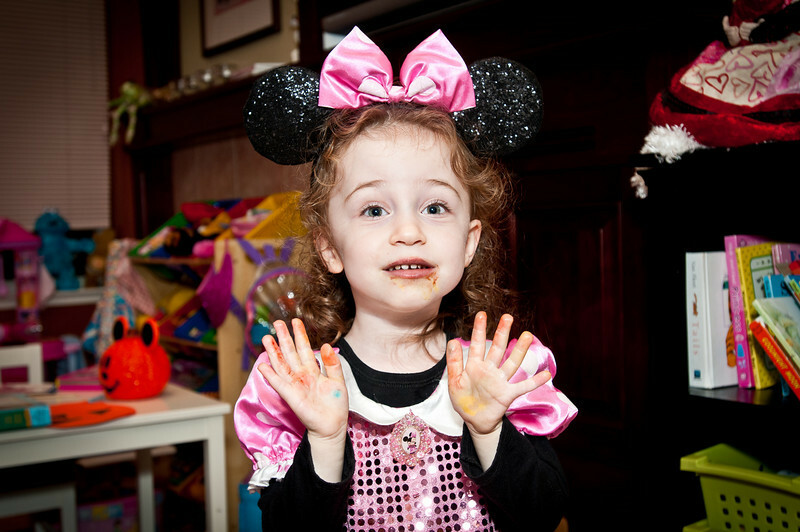 Olivia dove right into her bag of candy after trick-or-treating and she got it all over herself! 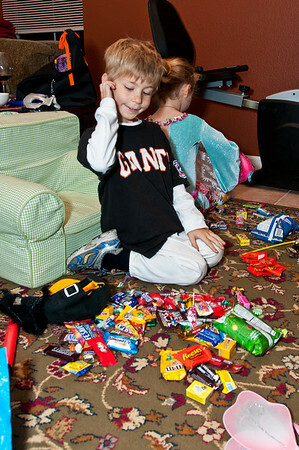 Jeremey's giant stash of candy. 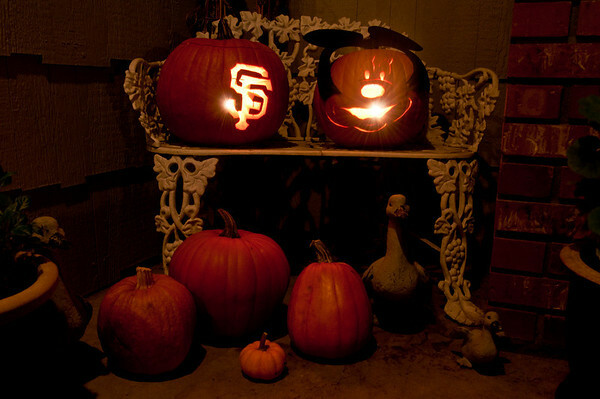 Too bad he can't eat it all!